We made it to four years and yes we are extremely pleased and happy! It sure has its ups and downs being a shop owner and self employed, but there is such a joy to be at the shop so it is worth it! I love all our amazing customers and the support, the friendly and positive words from you. Returning and new customers, you make us smile and we love our conversations. It is what a small business is all about. It is personal and pleasant and we do sincerely hope we come across as that and we thank you! Yes we are a small independent shop and we do sometimes feel very small but we keep working hard and have lots to look forward to this rest of the year. With our small girls growing fast, we have started to reclaim our evenings and soon, well hopefully soon we shall be able to get cracking with the webshop (yes I know we promise this every year). But first we are looking forward to a stunning Autumn with warm and welcoming colours and then a Scandinavian Christmas. We have replaced a few brands but are excited to introduce new brands and products. 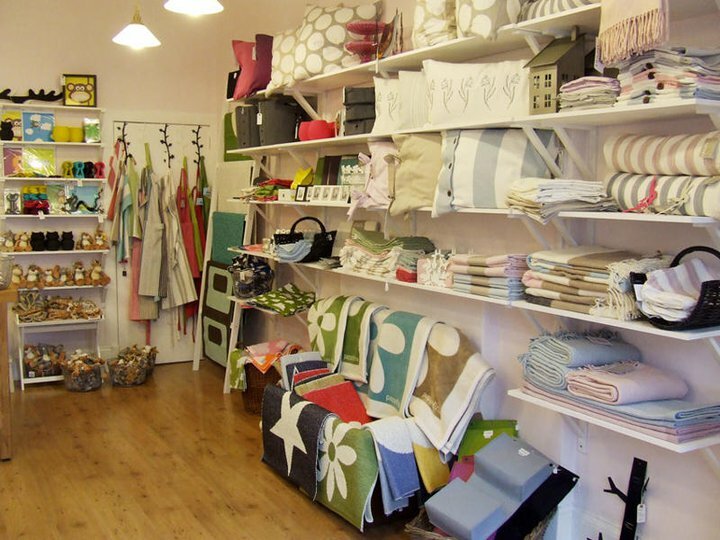 I found this photo from 2010 on our FB page and the shop sure does look different now! Pop in and have a look for yourself. Don’t miss our amazing competition on our Facebook page! Like us and take part. Charlotte, Richard and the girls.